If you've been following me for some time, you know that I am a thrift shopper. One of the ways I recommend people save money on clothing, accessories and even home decor is to check out your local thrift store. I've been thrifting since I was in high school and I enjoy it even more today as an adult, but let me be real. Thrifting can be time consuming and you have to have not only the time, but the patience to do it. I've found a solution for when I'm not in the mood for thrift shopping. Online thrifting is a convenient and fun way to purchase unique, one of a kind clothing and accessories from the comfort of your own home! There are so many people now who sell vintage clothing online that it can be a bit tough to find someone who not only has affordable prices, but are reliable and trustworthy. I found three online vintage stores that I love and have been purchasing from for the past few years. 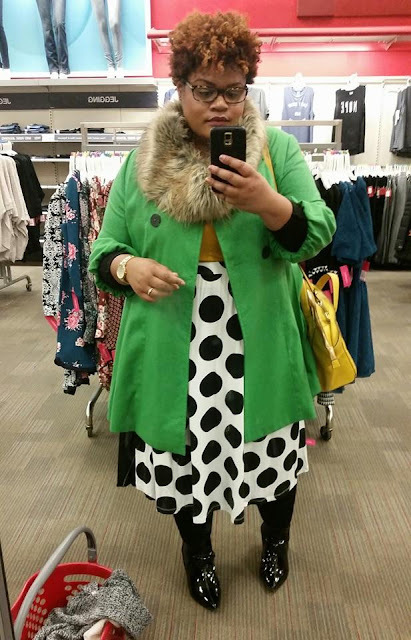 These ladies always seem to find the best thrift items and even items for curvy ladies. I randomly found this online vintage shop on Instagram a few years ago. The owner of this shop is so sweet and she posts new items in her shop on Mondays and Fridays. I highly encourage you to follow her on Instagram so that you can see when new items will be added to her shop as well as special discounts. You do have to move quickly when she posts new items because she has very dedicated customers including myself. Check out her website here. I also discovered this online vintage shop through Instagram a few years ago. I was so impressed with the unique items the owner, Marquita, was finding and even in curvy sizes. I immediately became a customer of hers. If you are into prints, bold colors and even feminine pieces, this is definitely a shop to check out. I have worn quite a few of her pieces on the blog. See posts with her clothing here and here. Check out her website here. The last online vintage shop that I want to recommend was actually recommended to me by a former co-worker. I always loved her style and she recommended this online shop to me. After checking out the shop for a few weeks, I made my first purchase and I was hooked. The thing I love about this shop is that you can either purchase directly through Instagram or her website. She gets a lot of fun and bright prints. See a post with her clothing here. Check out her Instagram here. 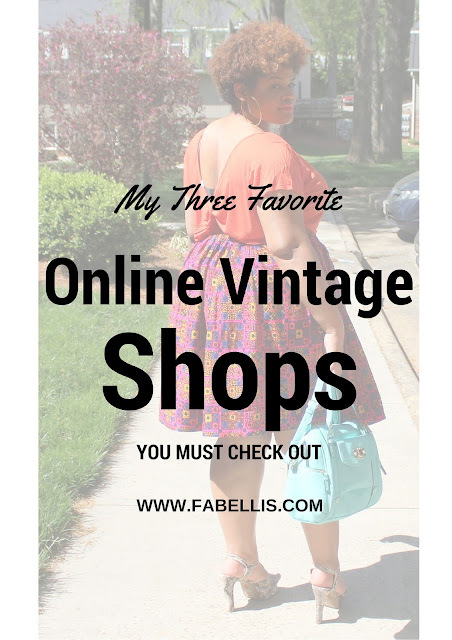 Are you an online thrift shopper? What are some of your favorite online vintage shops?